Conventional wisdom (and Google data) says that content that appears “above-the-fold” on a web page is almost twice as likely to be seen than content that the user must scroll to see. Experienced online retailers well understand the importance of a product being placed above-the-fold and its impact on business results. The question for merchandisers is how to best use those valuable above-the-fold pixels to maximize conversion rate and cart value. This question is particularly hard to answer for new products with which a retailer has no sales history. In order to make this question easier to answer, SLI Systems has recently launched new Enhanced Product Impact Testing functionality that allows merchandisers to quickly assess how new products will affect sales. To do this the SLI Product Discovery Platform allows merchandisers to artificially “boost” new products on a search results page to a position that they wouldn’t normally achieve to see how shoppers react to them. Historically, Product Impact Testing has looked at the “age” of products and moved recently added products further up towards the top of the results. The position of new products is determined by a combination of the boost and learning score, but the exact placement of any given new product or group of products could not be determined in advance. 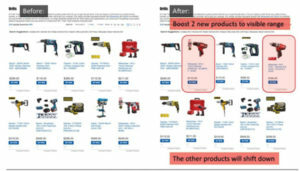 Enhanced Product Impact Testing Boosting is a smarter way to define a product as “new” and provides more control over the position in the result set of where the new products will appear. Defining new products: A product is determined to be new based on the number of times it has been seen by shoppers. Once it reaches a certain threshold, it will no longer be considered as new and Product Impact Testing boosting will no longer be applied. The learning score (or other ranking criteria) will determine its position from then on. Position: Enhanced Product Impact Testing Boosting offers more control over the positioning of new products and defines available location blocks that products can occupy within the result set above the fold. The actual position of new products can change over time. If more new products exist than available slots, a random selection of new products is shown within the slots available for new products. While Enhanced Impact Testing is most frequently used by apparel retailers when they post new seasonal collections, it also has great applicability to specialty retailers that depend upon repeat purchases from their most loyal customers. As long-term customers frequently already own a broad selection of a retailer’s standard merchandise, the very best way to get them to convert again is to make sure they have visibility on new items or categories of items as they appear in a store. Thus, if you’re selling archery equipment to past customers that already have a half dozen bows, lots of arrows, and a selection of targets, a retailer would want to boost new accessories, seasonal clothing items, or new technology upgrades. 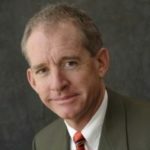 Doug McLean is SLI Systems' Senior Director of Product Marketing. He's passionate about bringing exceptional shopping experiences to shoppers globally.